April 22nd is Earth Day! I’ve found that today’s kids are very aware of the environment. They know all about recycling, clean water and so on. It’s fantastic to see so much caring about our world come from some of the smallest people on the planet. Recycled projects are another way of showing the kids that we care too and letting them know about ways to reuse everyday items. This year we made recycled paper. And for an even cooler twist, we added seeds! The paper can be planted and flowers will sprout! Seeds- Wildflower work best since they are small seeds. 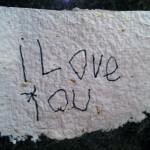 First, have the kids rip the paper into approximately 2”x 2” squares. You’ll need lots of it so let them go to town. Then place all of the paper shreds in the large container. Pour enough water over the paper to have it submerged. Cover it with the lid and allow it to sit overnight. The next day, scoop a cup of the soaked newspaper into the blender. Add enough water to help it blend. Pulse the paper mix until it is well blended into a pulp consistency. You may have to periodically add more water or paper as you go. There is no perfect ratio but you’ll end up squeezing out the excess water later. Once you have the pulp well blended, mix a pack of seeds in with a spoon. Lay out the towels on the countertop (a couple of layers won’t hurt). Then place a window screen on the towel. Pour out enough pulp to cover the screen. You may have to use a spoon or your fingers to spread it to a fairly even layer. Cover the pulp with another sheet of screen and put another towel on top. You should have a sandwich going: towel, screen, pulp, screen, towel. If you have enough screen you can do this in an assembly line style with a few pulp batches and several screen sets assembled at a time. Let the kids use the rolling pin on the top layer towel to squeeze out excess water. They will need to go back and forth a couple of times. It helped when we folded the bottom and top towels to have more absorbent layers. Remove the top towel to reveal your flattened pulp within the screens. Gently lift the screens and pulp and place in a window or outside to dry. It may take an entire day. Once dry, peel away the screens. You are left with a piece of seed paper! Now kids can write messages and draw pictures to give as gifts. Let the recipient know that the paper is embedded with seeds and ready to plant. This is a particularly fun way to give Valentines or Mother’s day cards. You can’t get much homemade than this! Most of the supplies are free unless you need to buy screen or seeds. We had the screen at home because its a common occurrence for the dog to walk through the screen door. But it can be found at home improvement stores, as can the seeds. 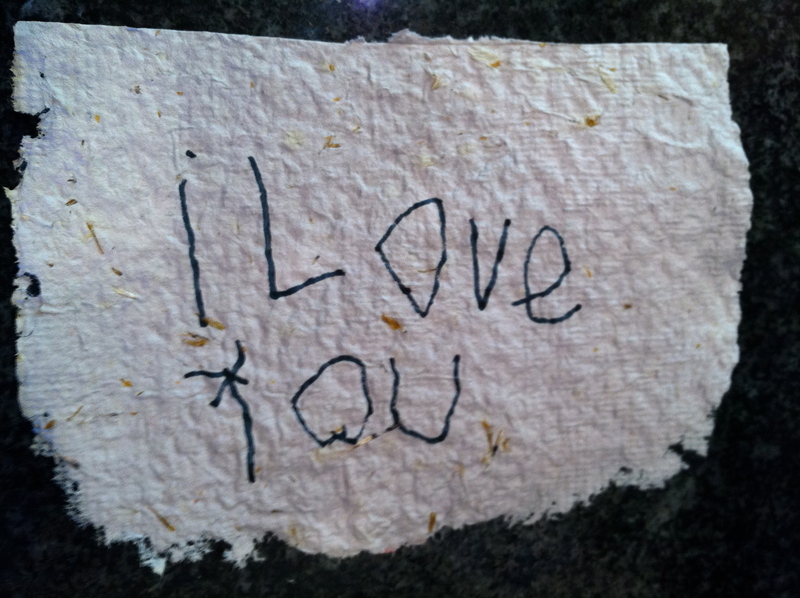 Paper making is good for any age. Toddlers can help with tearing the paper, pouring water. Preschoolers may enjoy turning the blender on, cutting the screen, touching the pulp (sensory exploration) and writing the messages. Older kids will think the mess and creation are cool. And of course everyone will be excited to plant the paper and watch it grow! I used this as an opportunity to teach the importance of following directions. We also discussed the change from paper, to pulp back to paper… recycling! There was some problem solving mixed in while trying to decide how much water to add while blending. Congratulations! You just helped save the planet and start a garden!